2017 emerged as one of the strongest years for Vietnam. With the GDP growing at 6.81 percent and a record high FDI, Vietnam will continue to be a priority for investors in 2018. In 2017, the total M&A deal value reached a record high of US$ 10.2 billion. In the first half of 2018, M&A value reached US$ 3.55 billion, growing by 55 percent from the same period last year. By the year-end, the M&A market is forecast to reach US$ 6.5 to US$ 6.9 billion. ThaiBev’s acquisition of a 54 percent stake in Vietnam’s largest brewer, the Saigon Beer Alcohol and Beverage Corporation (Sabeco), was the largest deal in 2017, estimated at US$ 4.89 billion. In addition, there were other large ticket deals as well in 2017. Vietnam’s tech firm FPT Corporation sold 47 percent of its subsidiary, FPT Trading to Taiwan’s Synnex Technology International Corporation. In addition, it also sold a 30 percent stake in FPT Digital Retail to funds managed by and associated with Dragon Capital and VinaCapital. Real estate has emerged as one of the most attractive sectors for foreign investors. With the government prioritizing infrastructure development; residential, offices, retail, hotel, and industrial parks have seen increased investments from Japan, Korea, Singapore, and China as well. Foreign investors in the real estate sector prefer joint ventures rather than acquisitions, as local players have land assets and are well connected with local authorities, while foreign investors have the much-needed capital and technical expertise. Apart from real estate, other sectors such as retail, consumer goods, and industrial goods have also seen an increase in M&A activities. Irrespective of the industry, investors usually focus on the leading companies as they have a dominating market share and strong brand value. 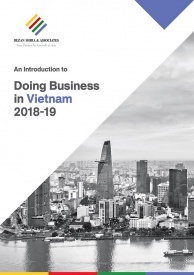 Other specific regulations exist for Vietnamese companies in highly regulated sectors such as banking, finance, insurance, and so on. A letter of intent is the common preliminary agreement that is drafted, outlining the buyer and seller intentions in a transaction. It includes the main terms of a transaction and other details such as exclusivity and confidentiality. In addition, it also mentions the predicted timeline for completing the transaction process. After a letter of intent is drafted, there are several other documents required depending on the type of transaction. In case of a share purchase, a share purchase agreement or share subscription agreement is required. A shareholder’s agreement could be needed if less than 100 percent of shares are purchased. Depending on the type of transactions, corporate approvals or disclosure letters may also be required. In most cases, the buyer prepares the first draft of all the documents. An acquisition agreement covers the type of transaction (shares/assets) as well as the transaction mechanism. Other clauses include buying price, payment methods, warranties and indemnities, cancellation procedures, conditions precedent, and governing laws and jurisdiction. 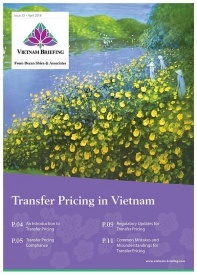 According to the Law on E-transactions, digital signatures are binding in nature and are enforceable in Vietnam, subject to conditions. The government has lined up a number of divestments of State-owned enterprises (SoE) in 2018. This provides an opportunity for foreign investors looking to acquire brands that are well known locally and have a majority market share. In addition, divestments are also planned in Hanoi Beer Alcohol and Beverage Joint Stock Corporation (Habeco), Binh Minh Plastics, Tien Phong Plastics, FPT, and Hancorp. Although the M&A market was quite active in 2017, investors have held back due to an underdeveloped legal and institutional framework. Issues such as unfair valuations, unable to acquire a controlling stake, and lack of information on public companies have slowed down the divestments of state-owned enterprises. In addition, the lengthy regulatory approval process for M&A investments has led to delays in transfer of ownership, leading to higher costs for investors. The M&A trend will likely continue in 2018, as the government aims for a higher number of divestments, especially in the energy, infrastructure, and telecom sectors. The government is trying to streamline the administrative procedures, increase transparency, and reduce regulatory burdens for investors, which can lead to an increase in M&A transactions for both, the public and private sector. Note: This article was originally published in March, 2018.